Printed notebooks are the perfect vehicle for showcasing your gorgeous designs in a handy product that has proven to be a hot selling item! With so many different sizes, cover materials and finishes available the biggest problem will be choosing the sort you like best! NEW! Our 60 and 80 page Squared Spine Notebooks are like perfect bound but notebooks without the cost! Available in A5, A6 and DL sizes with a choice of 56 or 76 plain or printed pages and a printed 300gsm heavy cover. With squared spine notebooks we give you the option for more pages and a professional finish at a fraction of the cost of glued perfect binding. Available with 100% recycled, kraft or premium covers you can also print up to four different covers for the same price! Nothing square about that. NEW! Meet our new 80 page Journal Notebooks with a perfect bound style spine but without the cost! 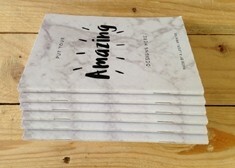 Available in trendy undersize A4, 260 x 180mm, each notebook comes with 76 printed or plain pages and a printed 300gsm heavy cover. This innovative binding delivers the option for more pages and an attractive flat-close product. Available with 100% Recycled, Kraft or Premium covers you can also print up to four different covers for the same price! Pretty perfect really. 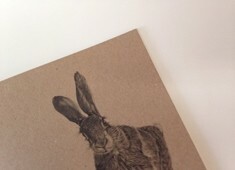 As always, our notebook printing is 100% eco and this particular little gem is made entirely from 100% recycled paper. Our notebooks come in handy A6 pocket size, A5 jotter size and two sizes of square notebook. Made with a thick 300gsm cover printed on one or both sides and 36 plain text pages, benefitting from a Carbon Capture programme for added eco loveliness. And don't forget our Multiple Sorts offering for those of you with lots of different covers! 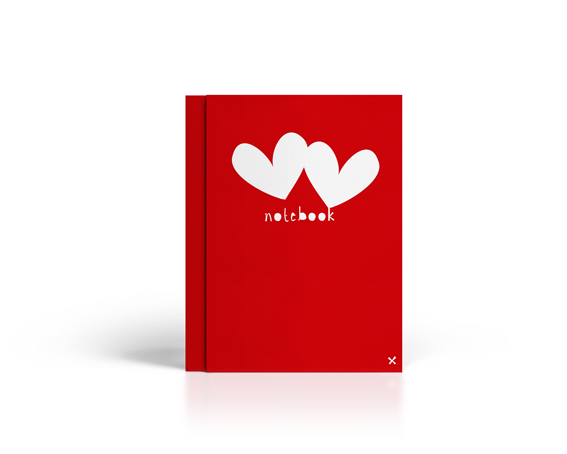 For a super smooth quality cover our premium notebook printing is just for you. The heavy 350gsm smooth cover is prefect for recreating your designs on one of both sides in fabulous full colour and 36 plain pages gives you bags of note making space! Available in A6, A5 and small and large sizes - and because we print them digitally you can have more than one design printed. 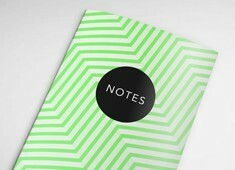 A notebook with knock-out colour and style, litho printed in neon pink, green or orange with the option to add black for text or contrast. Available with 100% recycled or premium smooth covers in our standard A5 and A6 sizes. You can also print up to four different covers for the same price and extra retail opportunities. Kraft board is the new 'hot topic' material at the moment and using it as covers for our A5, A6 and Square notebook printing is inspired! 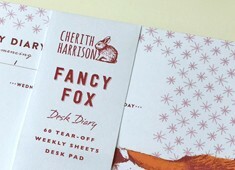 These finished notebooks have a lovely old school charm that is so retro it's modern! 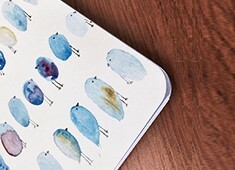 This addition to our notebook range really is by popular demand! Available across our full range of notebook covers and sizes the inner text pages are printed in black or grey scale which opens up lots of possibilities. All of the pages will be printed the same throughout the notebook - ideal for lines, squares, logos and common text for example. We still offer our rather fabulous multiple sorts option for the covers, so you can create a matching set in a range of cover designs, for example. 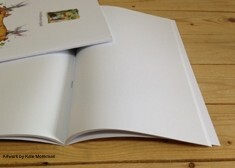 Covers may be printed on one or both sides. Colouring books are the latest hot property! Print your own line drawings ready for a relaxing colouring in session - 40 stress reducing pages in all of our A4 and A5 books. 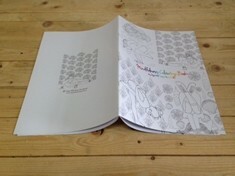 The colouring-in pages are printed in black only whilst the heavy covers are printed in gorgeous full colour. Beneficial to your mental health and the planet. Our bang-on trendy square finish will give you the edge with these eco-printed notebooks. Available with covers printed on 100% Recycled or Premium smooth board with the choice of printing the covers on one or both sides. Plus we give you more - print up to five different covers for the same price! Nothing square about that. Let's make life easier all round! 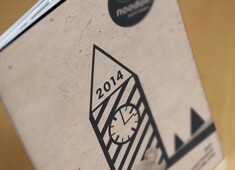 We are now offering our very popular A5 and A6 100% recycled notebook printing in longer runs of up to 3000. Printed litho with vegetable oil based inks for a lovely finished product that is so green you could probably eat it. And with multiple sorts of 2 and 4 cover designs available for the same price you'd be bonkers to miss out!! Our notebook sample service allows you to order printed covers and made-up notebooks on kraft, recycled and/or premium material to see how your artwork will print before you commit to a bigger order. 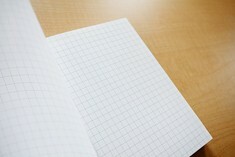 A belly band is that handy strip of paper that wraps around your notebooks (or other items!) to hold them all together - the perfect finishing touch. Our belly bands are designed to hold 3-4 notebooks but if you need different sizes just contact us and we will be happy to help. *If you are ordering Premium or Recycled Notebooks and have from 6 to 25 different cover designs please ensure to select your number of sorts from 'Build Your Order' on the product page. When ordering multiple sorts it must be an equal number per sort, i.e. 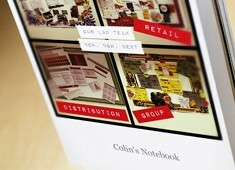 5 versions of 50 notebooks. We have a minimum print quantity per sort of 10. If you have been very busy and have more than 25 cover designs please contact us for a bespoke price. ** If you are ordering Kraft, Luxury or Long Run Notebooks you may order 1, 2 or 4 different designs for your covers but due to the method of printing they must be an equal quantity per sort. 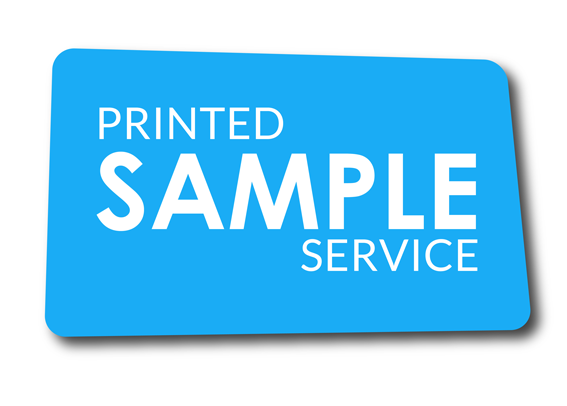 We recommend that you try before your buy and opt for a printed proof from our sample service. You can order printed covers and made-up notebooks on kraft, recycled and /or premium material to see how your artwork will print before you commit to a bigger order. Download our handy guide on how to create/supply artwork for your Notebook Covers. Also worth a browse is our useful information on design for digital printing; it pays to know that digital printing comes wiht a few observations! Want your covers individually personalised? No problem! We can personalise your covers with individual names, dates and titles for example. Please contact us, email info@alp-group.co.uk or call 01903 742004 for more information.